I still can't believe Christmas is so close. I have a huge list of Christmas activities that I want to complete but I can't seem to find time for any of them. The only thing I've had time for is eating sugar cookies and crying over my lack of will power. Just kidding, I don't cry, I just eat more cookies to mask those negative feeling. 'Tis the season! No but seriously, I really don't understand how I can never find time to complete any task on my to-do list but can always find time to sit and play around on pinterest for hours. I thought I might need to re-calibrate my priorities but then I realized all I needed was a new to-do list. Not to brag but I checked every single one of those tasks off that list. I am right there with you! I haven't done any Christmas shopping yet, or even ordered Christmas cards! We've got about 11 days to make it all happen, right!? Ahh it is so true, time flies by and I wonder where it has all gone until I realize I have just spent hours looking at blogs, on Pinterest (so addicting) and definitely watching Gossip Girl...but now I truly know why we get along so well! Love this outfit Melissa, the sweater is perfect with those olive colored pants, and your vintage brooches are my favorite, I remember meeting you for the first time and you were wearing one in place of a belt and I knew we were going to be buddies. Love the ring too, and your hair...ahhh you look fantastic from head to toe! This is something I would totally do! Hahahaha I always think to myself "I just need to put stay in bathrobe all day and do nothing on my to-do list" and then I'll feel GREAT about myself. At least you got dressed and look like the cutest thing ever, so go ahead and check that off, too. I only have one gift... mmmhh, maybe two... and I have to buy many! Only 12 days! You look very beautiful and elegant! LOVE these AA pants, Melissa. And it really is weird how so much time can be used when you're "wasting" it as opposed to actually accomplishing important to-dos. Pinterest totally takes up a ton of my time too. This is a really cute outfit, I like how the pants and the door behind you match! 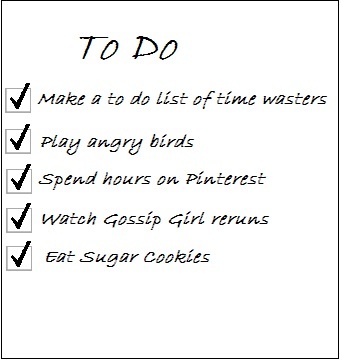 And oh, I'm sure I'd be quite good at checking things off that list too... I've had enough Christmas cookies to check that one about 10 times. haha. I really love your pants! Great color and style. Cute look, love the pants! I love your brooches! And the color of the pants goes wonderful with the rest of the outfit. Love!